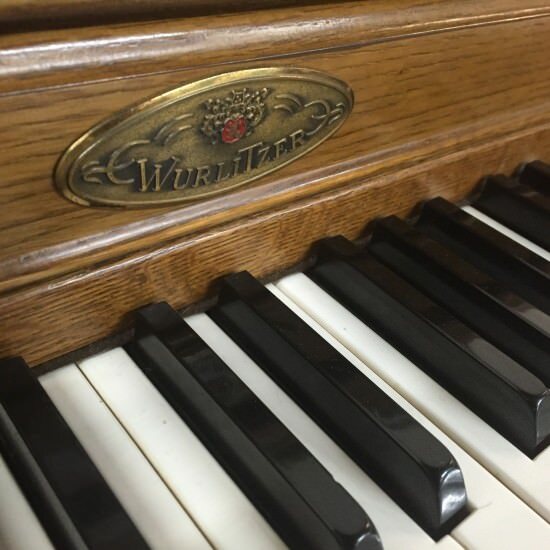 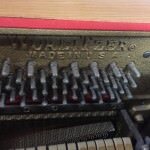 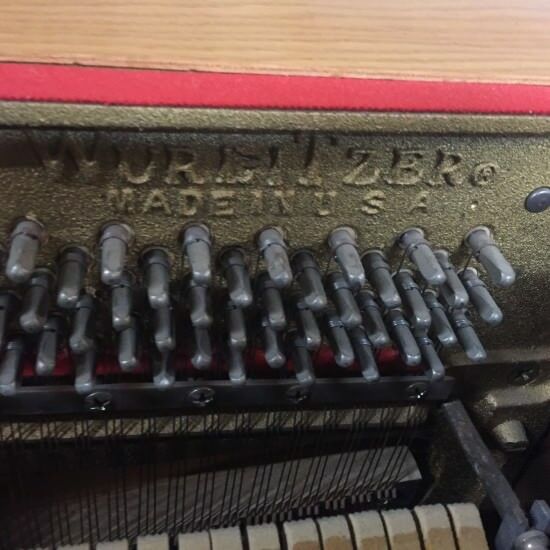 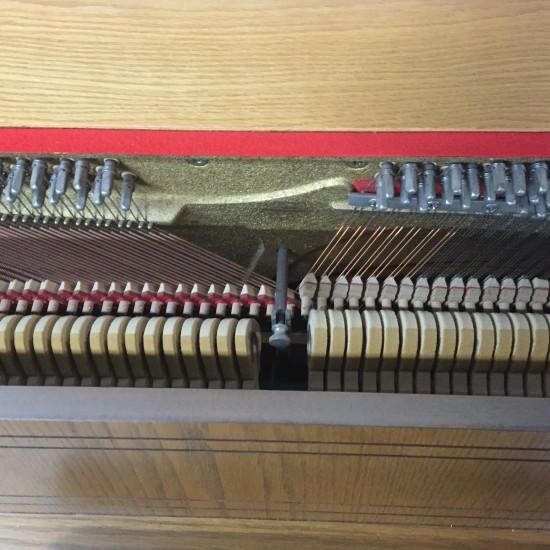 A console piano is a good choice for the beginner or player without tons of space, and Wurlitzer was known for building high-quality consoles. 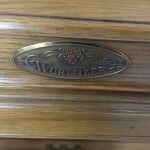 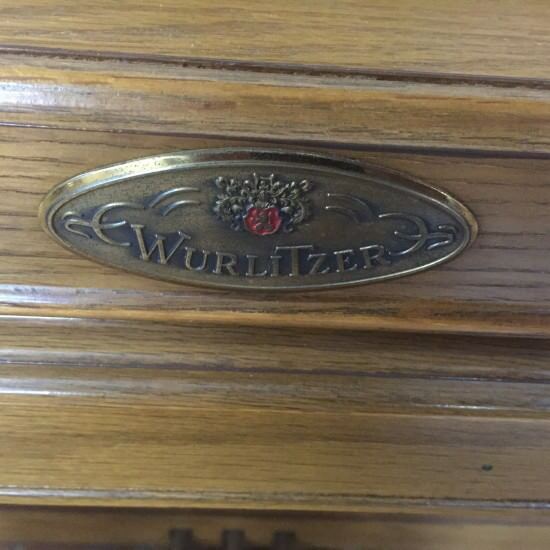 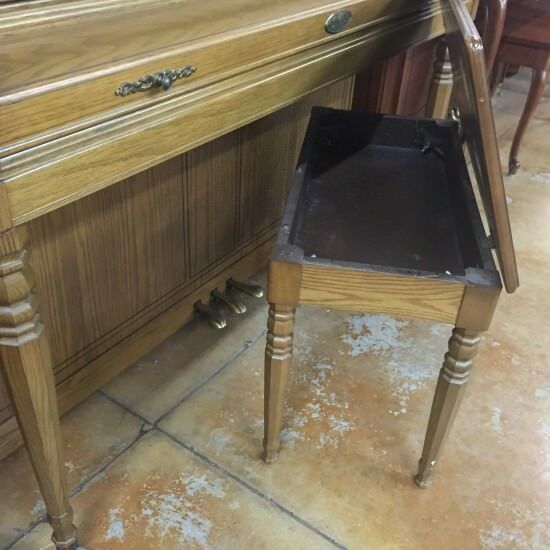 This Wurlitzer console will provide you with responsive play and clear sound at a reasonable price without taking up a lot of your home. 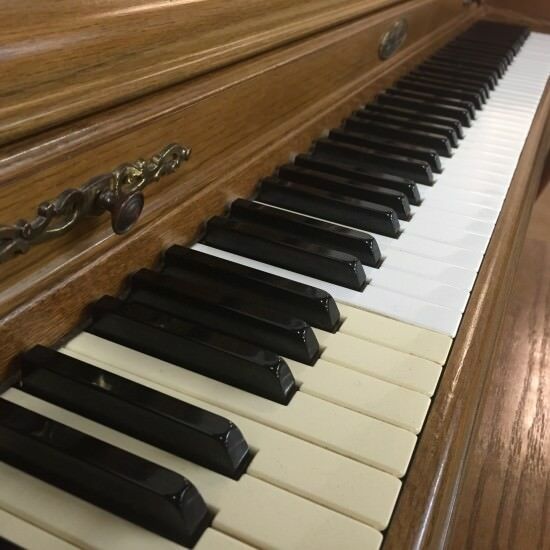 You can expect years of good play out of this durable piano, making it a good choice for children or beginners buying their first acoustic piano. 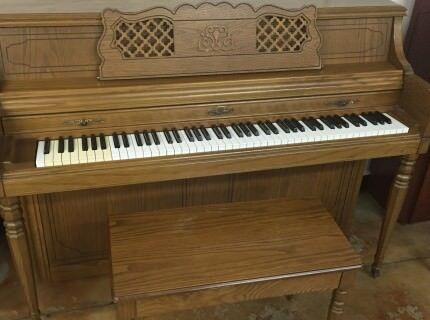 Stop by Bruce Music Store to play this piano, or purchase online! 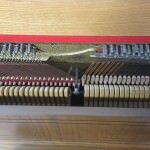 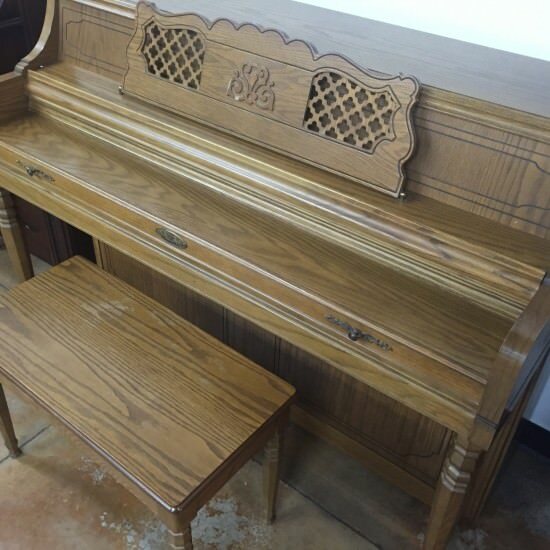 This piano has some cosmetic damage but plays and sounds great! 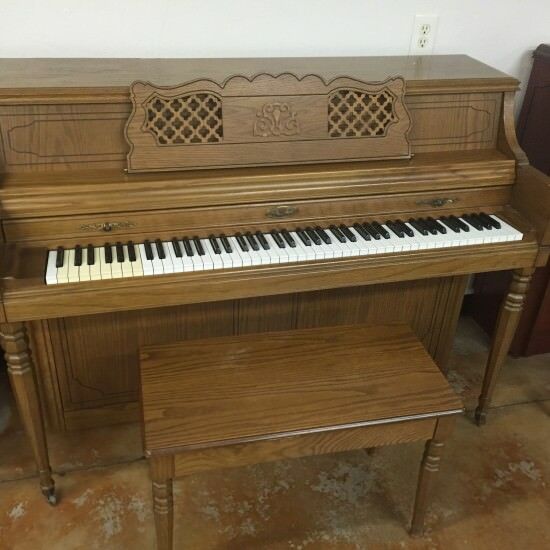 An incredible value for someone on a budget that’s wants a nice playing piano!